How Does Florida Deal with Boat Accidents? Today we will explore how Florida law addresses boat accidents. Given that Florida has more registered boats than any other U.S. state, it is extremely important for Florida citizens to have a firm grasp on boating laws. Furthermore, consider that a report from the Florida Fish and Wildlife Conservation Commission (FWC) detailed 737 boat accidents in 2015, including 55 deaths. That averages out to approximately two boat accidents per day and one death per week throughout the year. Drilling down a little deeper into the report, we see that 19 percent of boat deaths involved intoxication from alcohol or drugs. We can also see that the highest concentration of boat accidents was in Miami-Dade County, with 96 total accidents, 74 injuries and three deaths. The sheer volume of boating accidents in Florida underscores the need to understand boating laws. Before we go any further, we need to explore the definition of a reportable boating accident in Florida. What is a Reportable Boat Accident in Florida? Stated otherwise, minor injuries and collisions do not normally rise to the level of reportable boat accident in Florida. Now that we have an understanding of reportable boat accidents, we can move on to liability. Who Bears the Burden of Liability for Boat Accidents in Florida? 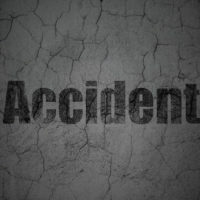 As is the case with accidents on land, liability for boat accidents generally centers on negligence. To recover for negligence, the injured plaintiff must demonstrate that the defendant had a duty to protect the plaintiff from a particular injury; the Defendant breached that duty; the breach of the duty actually caused the injury; and, the planitff suffered acutal harm. Concerning boat accidents, specifically, operators must act in accordance with established safety standards. Otherwise, they breach their duty to act with reasonable care. For example, if a boat operator is intoxicated, fails to use required safety gear, is not properly licensed, ignores the rules of the road or ignores harsh weather conditions, they may not be acting with reasonable care. If any of these types of failures causes any harm, the operator and the owner be liable for reasonably related damages. Whether you are dealing with boat accidents, crew claims or other aspects of admiralty and maritime law, it can be difficult to know where to start. With complex rules and regulations often overlapping, it is vital to consult with an experienced admiralty and maritime lawyer. Otherwise, you may not take into account all important considerations. 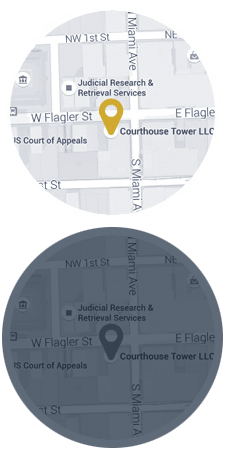 Located in Miami, Florida, Michael F. Guilford, P.A. has demonstrated experience in matters of admiralty and maritime law. If you have questions about boat accidents or other aspects of admiralty and maritime law, please feel free to contact Michael F. Guilford, P.A. as soon as possible.